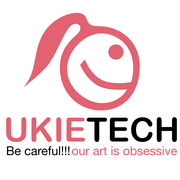 Ukietech is the innovative industry leader providing the business community with the latest technology & unique Art in Web Development, Web design, Programing, 3D Graphic, Visualization, Rendering, Animation, Branding, Print design. Be careful!!! Our art is obsessive!